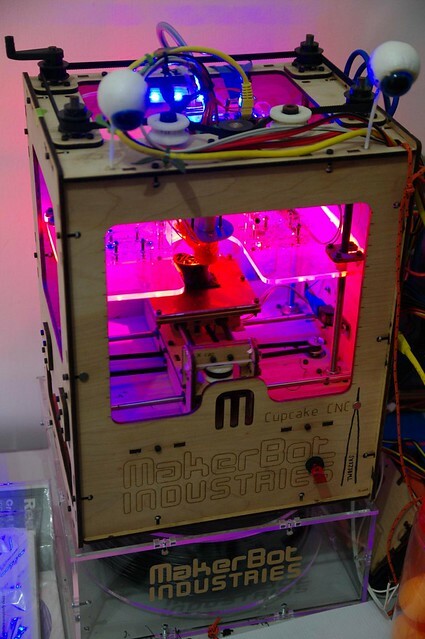 What Are Hacker / Maker Spaces & Where Are They In Australia? With the lifespan of consumer products becoming ever shorter, perhaps it’s time to relearn the art of tinkering and invention? Technology magazines are packed with gadgets and technology you can buy from a shop or online. They’re manufactured to be unboxed on arrival and ready to use. But what do we do when they fail? We’ve all heard of built-in obsolescence. Much of today’s consumer technology is built for short-term pleasure, with limited warranties that give you an inkling of how soon it might be expected to fail, usually within five years or even less. And you can be sure that it’ll be so hard to fix you’ll hear the catchphrase of technical departments the world over: “Cheaper to buy a new one”. There is another way. Today’s culture of ‘buy it then bin it’ has spawned a movement among those who would like to break the manufacturing chain, working individually or in groups on creative projects relating to art, design, technology, food, science and more. 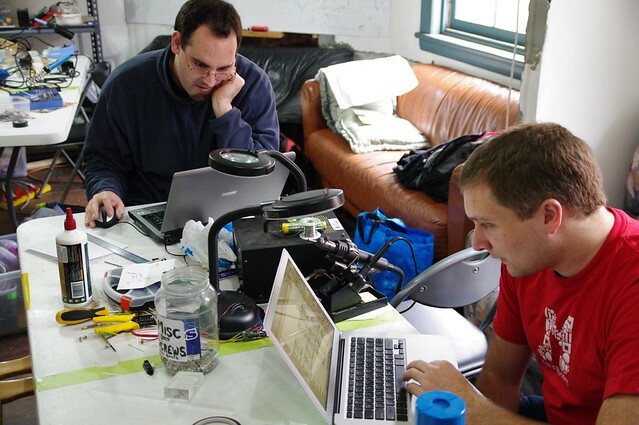 Their collaborative ventures have become known as Hacker/Maker spaces, and the larger of the breed leverage financial contributions from members for a permanent base where those members can share access to a variety of useful equipment, like CNC milling/lathes, a laser cutter, even a 3D printer – tools that would be too expensive for an individual to buy, store and maintain. President Gavin Smith showed me around the various rooms and I chatted with members about the projects they’re working on. I also saw their 3D printer in action. Recent projects by members of the space include an open-source self-balancing scooter, a slot-together lampshade (created with a laser cutter), the very cool LightScythe and Easter eggs decorated using an EggBot. One way to learn more about maker culture and get ideas for projects is to read Make magazine, a US publication which has inspired Maker Faire events, currently held in the USA and the UK. The 2012 Maker Faire held last weekend in San Francisco’s Bay Area attracted tens of thousands of attendees keen to see the amazing variety of projects built by makers and hackers across the US West Coast. Here in Australia, Hacker/Maker spaces generally allow newcomers a free visit the first time, and then charge a recurring membership fee to cover the costs of rent, insurance and equipment. Members of a space are usually also welcome to visit spaces in other cities and share their experiences. At the time of writing Hacker/Maker spaces were located around Australia. Visit Hackerspaces.org to see an up to date list of where each is located and what facilities they have available to members. This article was originally published in GEARE Magazine issue #68. It is “digitally reprinted” here with permission from the editor. I have added updates where new information is relevant. Previous PostPrevious Will SpaceX Rekindle Interest In Mankind’s Final Frontier?